Doesn’t the smell of bacon sandwiches tempt you? What do you have for Sunday dinner? 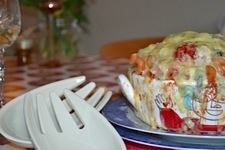 Don’t you miss spag bol? I hear these questions more often than any other food related queries. In answer to the first: no. In answer to the second: I have more of everything else – more potatoes, more Yorkshire puds, more veg – all doused in onion gravy. It really works for me. 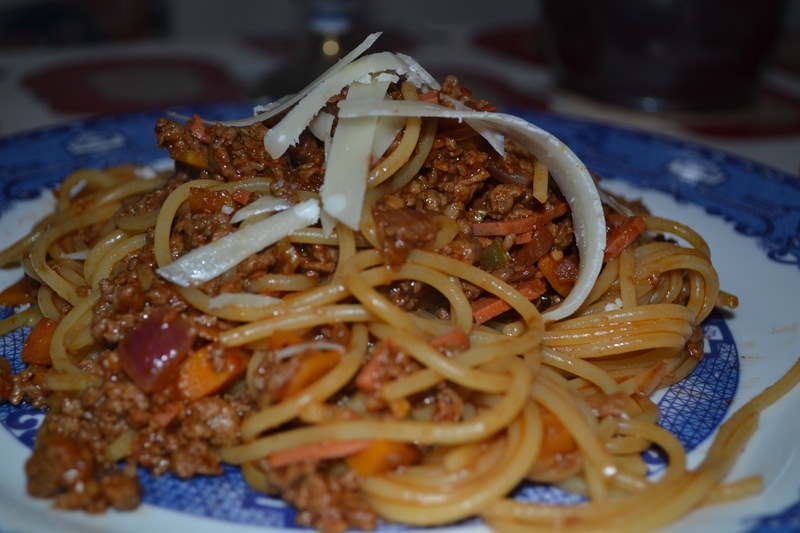 In answer to the third: how can I miss spaghetti bolognese when I can have this spaghetti bolognese? 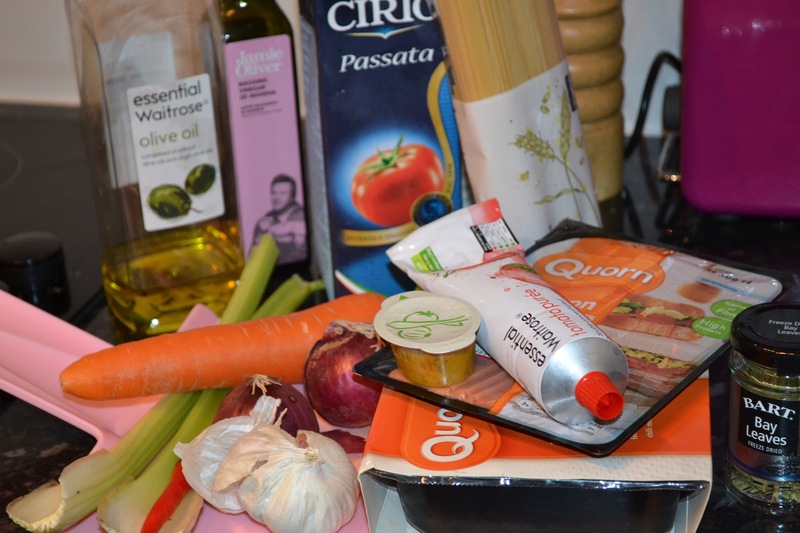 Quorn isn’t everyone’s favourite ingredient. It can be easy to sniff at; there is nothing natural about Quorn, and not everyone wants their food to taste of meat. But I quite like the stuff. Maybe not for your fancy foodie fests, but on a week night, post-gym, when a bit of protein would be welcome, I think it is fab. And anyway, it’s not what you’ve got, it’s what you do with it. 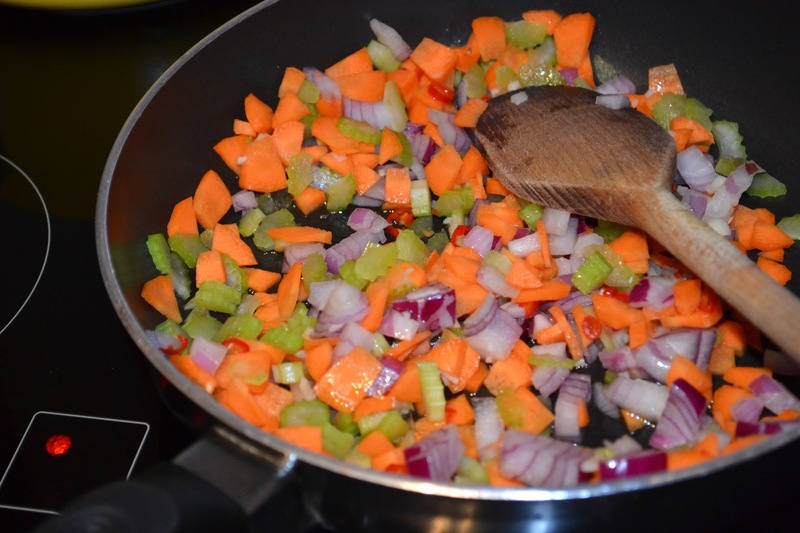 Heat the oil in a pan, over a medium heat, then add the onion, carrot, celery, garlic and chilli, if using, and cook until softened and slightly browned. 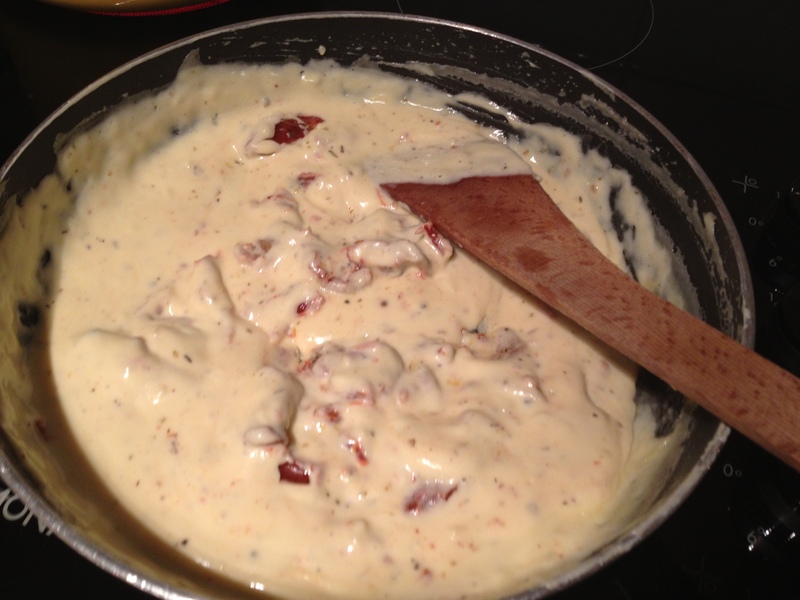 If using the bacon, add this to the pan and cook for five minutes more. Add the mince to the pan and stir together for a few minutes. Add the wine and cook off for a couple of minutes. Add the stock, chopped tomatoes, tomato purée, balsamic vinegar and bay leaves. Bring the sauce to the boil, then reduce the heat, cover, and leave to gently simmer for about 20 minutes. 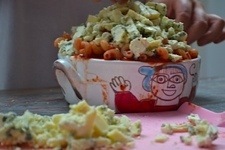 In the meantime, cook and drain your chosen pasta (tagliatelle or spaghetti are the most common). 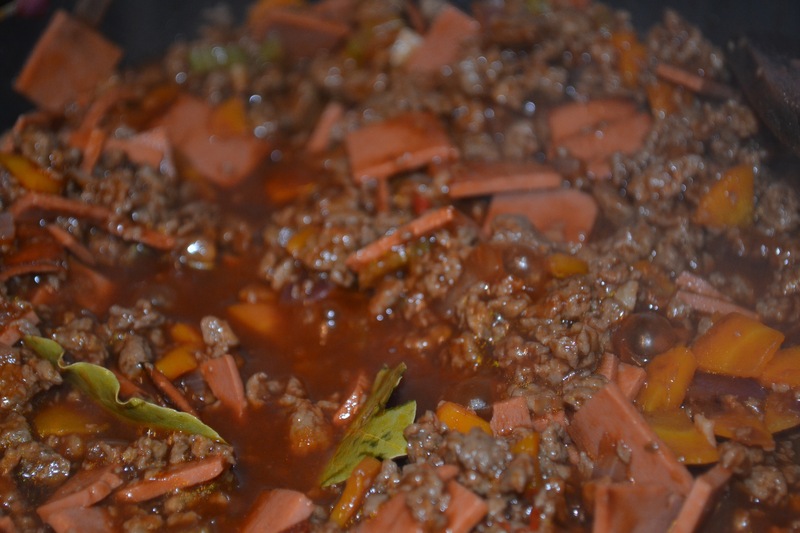 Remove the bay leaves from the sauce, then add the bolognese to the cooked and drained pasta. 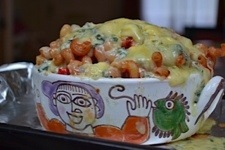 Serve with salad, bread, and a large glass of red wine. Lovely. I am on a health kick at the moment. Well, sort off. I’m on the only kind of health kick that I ever go on, which basically means hitting the gym hard (which I love doing) but making little to no change to my gluttonous eating habits. Oh, and no wine on school nights. Pretty tough. 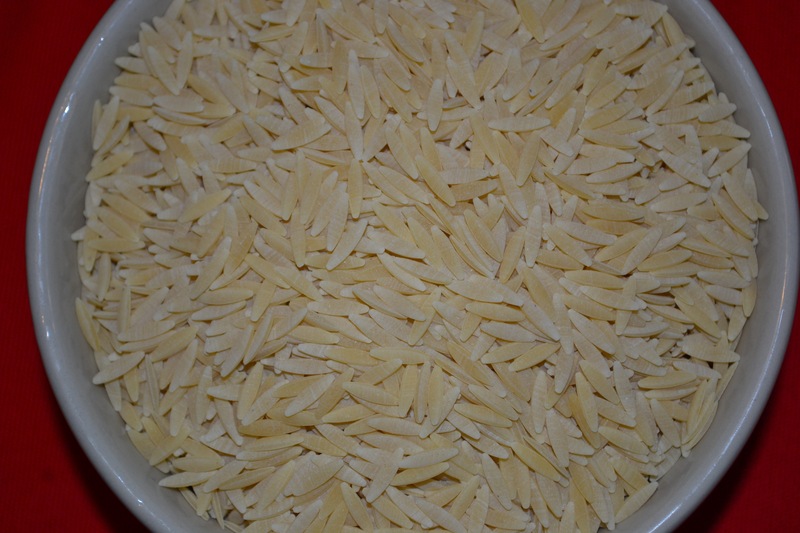 Pasta or rice? Orzo it neither? 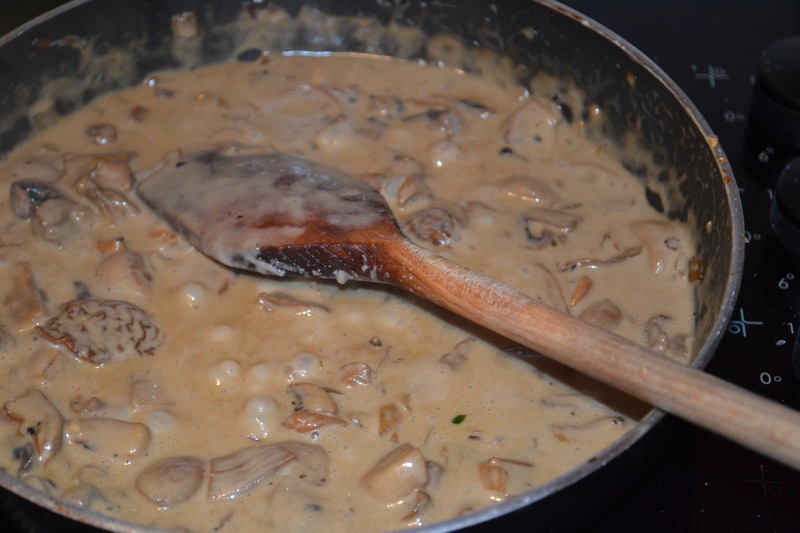 This recipe was borne from my Mum’s oft repeated compliment when chomping on a particularly good bowl of mushroom pasta: ‘It tastes like a posh version of Campbell’s Mushroom Soup. 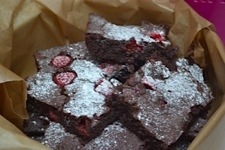 Delicious’. So, I set out to receive this compliment myself. And I got it. It has since become a regular in my kitchen. 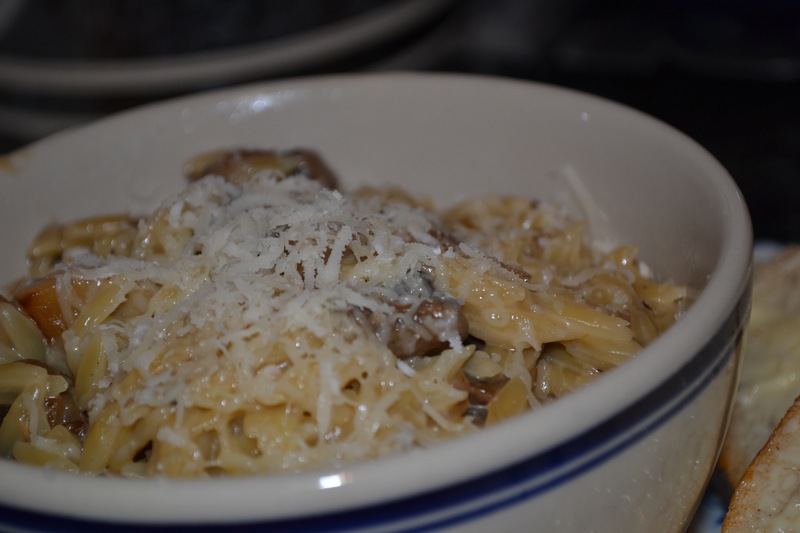 Pasta to serve, cooked how you like it. 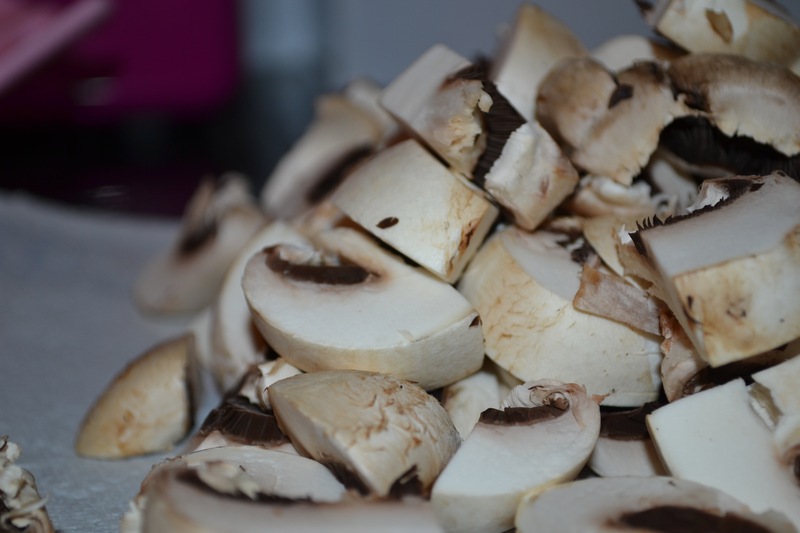 First, boil a kettle to rehydrate the dried mushrooms; pour around 250ml of water over the mushrooms in a bowl, cover, and leave for around 15 minutes. Meanwhile, fry your diced onions in some oil until softened, then add the garlic, and continue to cook. 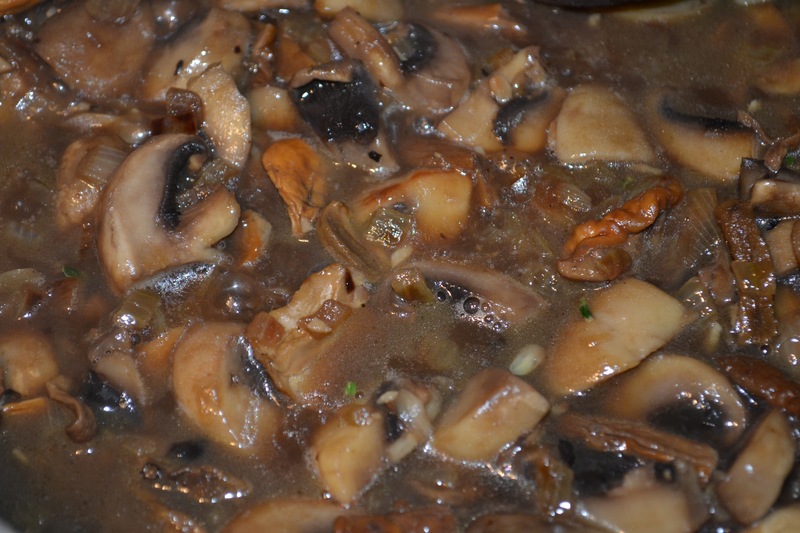 Add the fresh, chopped mushrooms to the pan (trying not to overcrowd the pan as this causes stewing rather than frying (if you have a small pan you may prefer to do this in 2 batches)), and cook until the juices have come out the mushrooms, then soaked back up. Add the rehydrated porcini mushrooms, fishing them out of the water, but reserving the liquid. Add the wine to the pan, and leave to cook off. 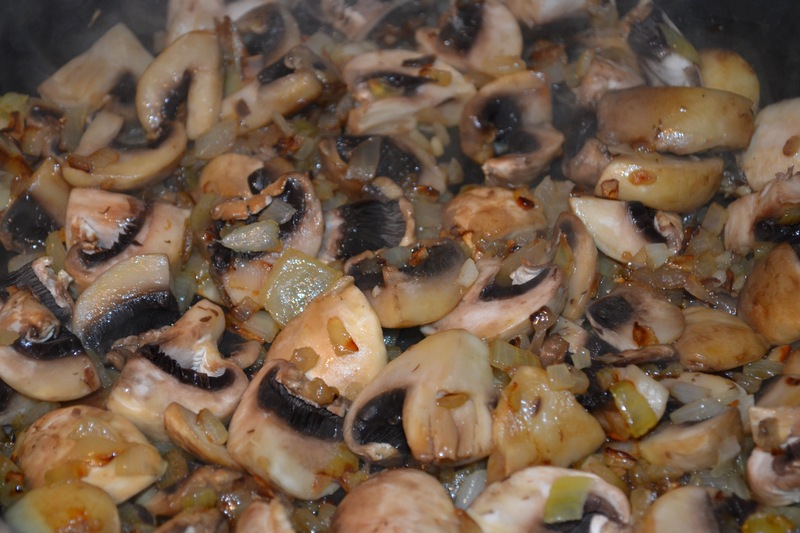 As the pan begins to dry up again, start adding some of the liquid reserved from the dried mushrooms; keep adding the liquid, until the mushrooms are saturated, and the pan stops drying out. (At this point you want your pan to be quite wet). 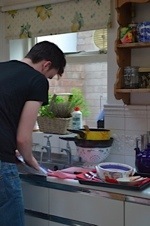 Add the creme friache to the pan. Add the thyme (or herb of choice) and season well. Cook until you get the consistency that you like. 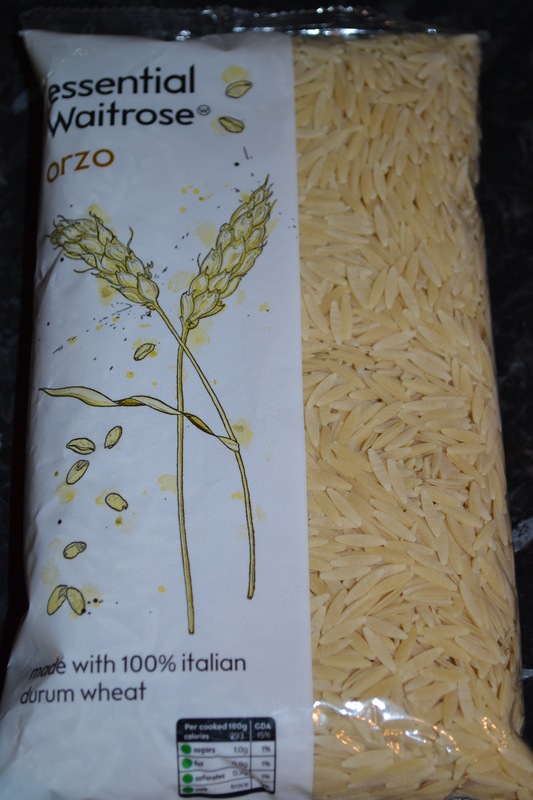 Orzo isn’t a pasta usually available in your regular supermarket, let alone is the budget range, so obviously I jumped at the chance to buy it.